Elections for the BSGSA Executive are held annually at the end of the Winter term. The Executive is in charge of organizing the events, lectures, and all activities of the BSGSA, but feel free to contact us if you have ideas, or would like to help out with any of the BSGSA events! As BSGSA president I hope to create more opportunities for professional development with the help of the BSGSA executive members. I am responsible for chairing BSGSA meetings and overseeing our operations throughout the year and representing the graduate student body at departmental council meetings. I am a PhD student focusing on Arctic seal foraging ecology in the Hudson Bay ecosystem in Dr. Steve Ferguson’s lab at Fisheries and Oceans Canada. I am interested in using different biomarkers (stable isotopes and fatty acids) to quantitatively estimate the diet proportions of prey items in ringed and bearded seals. I collaborate with three Inuit communities to get samples from their annual subsistence harvest in order to answer questions about the spatial and temporal dietary differences observed in Hudson Bay. As the social coordinator, I’m central in organizing BSGSA social events. Ranging from sports to parties I’m basically here alongside the BSGSA executives to make sure we all have fun in between our study schedules! I love getting ideas and comments so feel free to email me at Alleng3@myumanitoba.ca or find me around campus. My research projects focus on acid-base regulation and waste management of marine invertebrates in typical seawater environments as well as extremophile environments such as hydrothermal vents. If you have any questions about my work or travel info feel free to ask! As the Crackerjack coordinator I schedule the student portion of the Biological Sciences Seminar Series. The Crackerjack Seminars are a great opportunity for students to present their work and to strengthen public speaking skills. If you are interested in giving one of these talks email me at loeppkar@myumanitoba.ca. Outside of BSGSA I am a PhD student in Gary Anderson’s lab. I work with Lake Sturgeon to better understand the incorporation and interpretation of chemical signatures in their hard structures (fin rays and otoliths) to identify habitat use and track their movements after releasing hatchery raised fish into the wild. Outside of BSGSA I am a PhD candidate in Judy Anderson’s lab. I work with mice to explore the role of a neuro-repellent protein in functional skeletal muscle regeneration neuromuscular junction formation after injuries. As the position elect, my role is to work with the BSGSA and gain a better understanding of the executive roles. The position was designed to be filled by a new student, and as a first year PhD student the hope is that I may fill one of these roles in subsequent years as the current executives finish their programs. 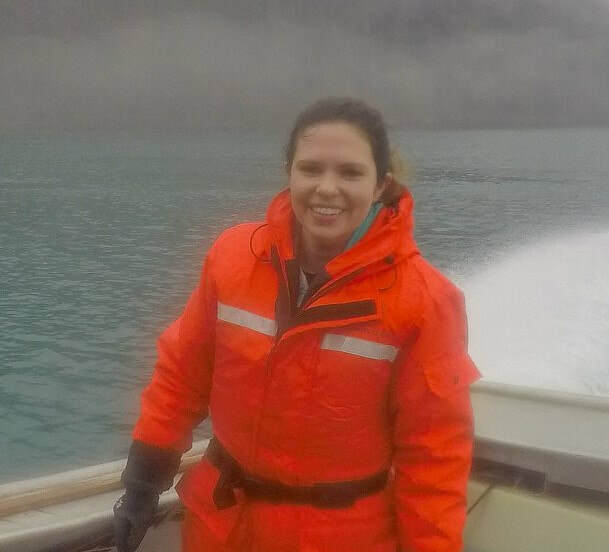 My PhD research with Dr. Cortney Watt-Wheeler at Fisheries and Oceans Canada and Dr. Jim Roth involves the habitat use and diving behavior of the Cumberland Sound beluga whale population and how they may have changed over time. I’m also creating a photo-ID catalog of the population with drone photos taken over the last several years and estimating the number of mother/calf pairs from aerial survey photos. Hello! I serve as the VP treasurer of the BSGSA. I handle all financial matters, maintain BSGSA documents, and can fill in for the president when they are unavailable (i.e. the president is doing too much field work!). If you have any questions, please feel free to email me at mikhaila@myumanitoba.ca. Outside of the BSGSA, I am a Master’s student in Dr. Gail Davoren's lab. I study humpback whale acoustics. Specifically, my goal is to quantify the diel and seasonal patterns in call activity of three common, non-song call types of humpbacks on their Newfoundland foraging grounds. I hope to link call types with diel and seasonal variation to the availability of their primary prey. My role in the BSGSA is to inform the students and faculty in our department about events, such as lectures, social gatherings and opportunities such as volunteering. I am the face behind most of the BSGSA emails you will receive throughout the year as well as the BSGSA Facebook page and the graduate student email account. If you have any questions about events or volunteer opportunities please feel free to email me at eppm34@myumanitoba.ca. Outside of the BSGSA I am a Masters student in Dr. Davoren’s lab. My project is focused on the call repertoire of humpback whales off the coast of Newfoundland. I am interested in whether the calls are stable across years, as well as beginning to look at the behavioural context of the calls using multi-sensor animal-borne tags. As the lecture coordinator I am responsible for the organization of departmental seminars during the year including the Lubinsky, Barrett- Hamilton, and Hanna Memorial Lectures. These lectures present excellent opportunities for graduate students to engage with notable scientists from across the country and learn about some great biological research. Outside of BSGSA, I am a master's student in Dr. Jillian Detwiler's lab. My project involves using DNA sequencing and morphological analysis to more accurately identify species of trematode parasites in the genus Quinqueserialis, so that I may then evaluate how geography and host specificity has influenced their speciation. As the Freshwater Institute representative I am responsible for acting as a liaison between the BSGSA and graduate students at Fisheries and Oceans Canada. My M.Sc. research is focused on the ecology of the relatively poorly understood eastern Canadian Arctic killer whales.